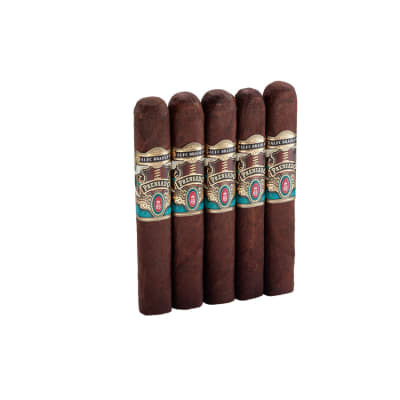 Alec Bradley Medalist Robusto cigars are full-flavored, premium cigars enriched by a mouthwatering Honduran wrapper that surrounds a juicy mosaic of Honduran, Nicaraguan, and Connecticut tobaccos. The construction, rich, earthy flavor and aroma are all first-rate. Highly recommended. 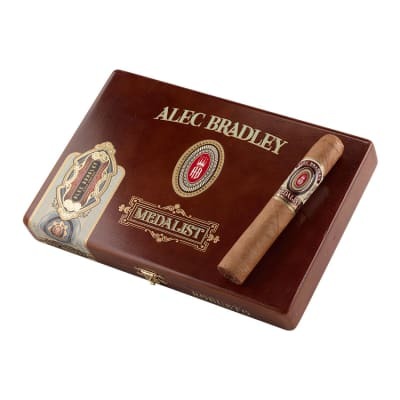 A great way to discover the hearty Alec Bradley Medalist selection. 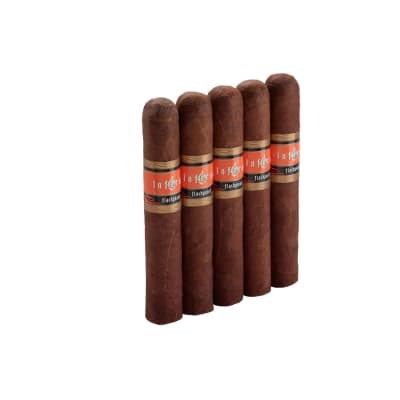 These stunning cigars feature a very flavorful Costa Rican wrapper that surrounds 3 diverse, rich-tasting filler tobaccos and a U.S. Connecticut binder. Robust and complex, yet not overpowering. One of Gary's new favorites! I bought a box of these - not bad. nice spicy flavor, medium body, and nice burn. Easy to light, chocolate/coffee/cedar touches taking turns, full-flavored smoothness so that this masterpiece can be savored s-l-o-w-l-y. Took me nearly an hour to drift through the Medalist, and true pleasure was in every puff. 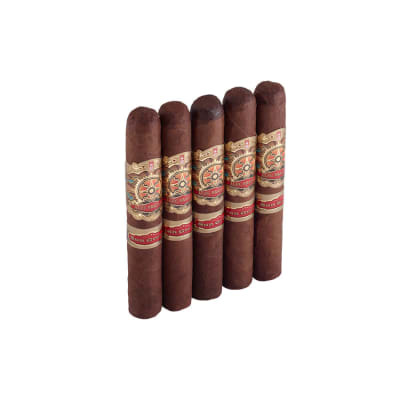 Well, everything about these cigars says AB...the construction, burn, draw, apprearance, but not the taste. While most AB's are smooth smoking complex full bodied beasts, this is more of a teenage version on steroids. None of the grace or complexity with all of the brawn and a bit too aggressive. I think that about sums it up. They might need a year or two of box time. Maybe infuse them with a cognac in your special box. 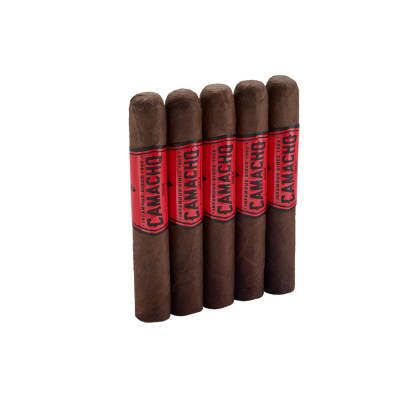 Reviews weren't always that great about this cigar, but I finally got one in a sampler and have to say it was nicer and much better than I expected. Smoked this one right out of the box, so it was a little too moist and may not have experienced the full flavor. It was a very nice cigar; subtle flavors, nothing fancy like Tempus or anything like it. I think I would compare it with a Gran Habano Corojo #5 with a dark wrapper instead of a corojo. Halfway through it started burning really nice and tasted some sweetness and sared geting more creamy I think. Out of the box, I would rate it a 7.5 and am probably buying a box of 10 and let them accomodate a few extra weeks in my humidor. I am sure they will be even better.